If you need an elevation certificate or flood survey, please call one of our land surveyors at ​(615) 645-1404 or fill out our contact form to the right. Recently many areas of Tennessee, including Davidson County, completed the process of updating the FEMA Flood Insurance Rate Maps (FIRMs) for possible determining the flood risk in a specific area. These maps show the areas of potential flooding based on the 1-percent chance storm event. 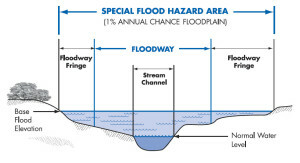 This has been known in the past as the 100 year flood and is also known as the Special Flood Hazard Area (SFHA). When you get the amount of rain comprising the 1-percent storm the flood water will come to a certain elevation near your home, known as the Base Flood Elevation (BFE). FEMA is required to assess its flood hazard map inventory at least once every 5 years for flood determination. But, because of funding shortfalls, it’s been over 15 years for some communities. For those homeowners with a mortgage, purchasing flood insurance is mandatory in a participating community if the loan is federally insured or the lender is regulated by the federal government. Flood insurance is highly advisable even if you’re not required to purchase but are located near a stream or lake – get a flood determination report for your area . Remember, the 1-percent chance storm has a 1 percent chance of being met OR EXCEEDED in any year. Over the life of a 30 year mortgage there is a 26% chance of having a flood event that exceeds the base flood elevation. Mortgage insurance rates are generally less the higher above the base flood elevation your finished floor is located. Therefore, if you are four feet above the BFE the rates should be lower than if you were at or below the BFE. A $300 policy may well be worth the peace of mind it brings. Your homeowner policy has an exclusion from any flood damage. You should also know that just because you’re above the BFE and far away from a running stream, many dry ditches have caused significant damage to a home during a flash flood. Again, your homeowner policy is useless in this case but a flood policy would cover this damage. As stated above, your mortgage company may be required to ask you to purchase flood insurance. Of course, they would want you to do so because they are protected also. You should also know that the mortgage lender may also require flood insurance even if it is determined you don’t need it. This is their prerogative. Again, the rates should be rather low in this case, but there are some costs nonetheless. Now that you know a little about the overall situation, how does this affect you directly? 1. Out of the flood hazard zone completely on the old and new maps. This is great. In this case there is no requirement for the purchase of flood insurance. But, as we said below, if there is ANY risk you might want to consider it. An evaluation of your risk is quick and easy. a. Your lot is “in” the flood hazard zone but the lowest adjacent grade (LAG) around your house is “out” or above the base flood elevation (BFE). 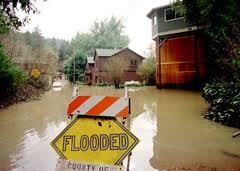 In this situation, it is possible that the flood insurance requirement may be removed. This process is called a Letter of Map Amendment (LOMA). b. Your lowest adjacent grade (LAG) is below the BFE but the lowest finished floor elevation (FFE) is above the BFE. In this case you need to purchase flood insurance. An Elevation Certificate is necessary as a way to determine your premium rate. c. Your lowest finished floor elevation (FFE) is below the BFE. This case is similar to 2.b. above but the flood risk is higher. Again, get an elevation certificate to determine your premium rate. 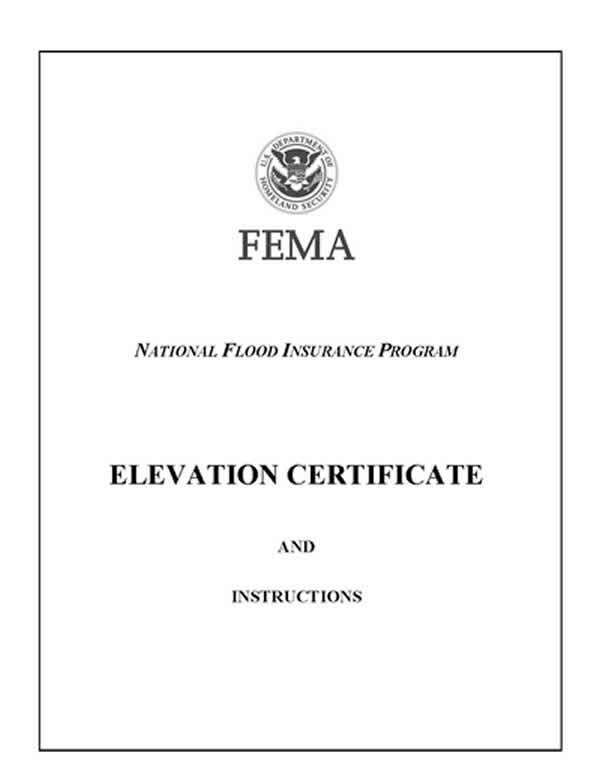 If you’re in situation 2 above, the first step is to get a flood elevation survey and elevation certificate. This process is done by a licensed land surveyor who will measure the elevation of your finished floor elevation and the lowest adjacent grade to determine your location relative to the flood hazard zone. 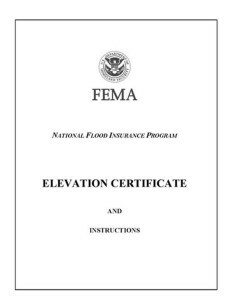 This process will produce an Elevation Certificate that can be used to either complete the LOMA process or allow your insurance agent to set the flood insurance premium rate. For more specific information about the National Flood Insurance Program, flood surveys, and Elevation Certificates, see the web at floodsmart.gov. To review FEMA’s Flood Maps in your area, go to FEMA Map Service Center. The land surveyors at Nashville Land Surveying are eager to discuss your potential flood situation with you. To talk about your flood survey and elevation certificate needs, please call us today at ​(615) 645-1404 or fill out our contact form to the right.